This fall join the Creative Revolution! Full payment due 1 week prior to start. Get colorful in your quest for larger-than-life experiences, while growing your creative side and honoring your need for self-care. Through Intuition Painting you can learn to release stress and express yourself fully and freely. You will tap into your creative intuition and discover your unique visual voice. Your paintings become symbolic stories, offering insights about your inner life and connection to your intuitive wisdom. Feed your fire and free your inner muse! Intuition painting delivers profound personal and artistic breakthroughs. Our time together will be unlike anything you have ever experienced, growing your creative confidence and strengthening your sense of self. Benefits extend well beyond your time in the painting studio, as you discover how following intuition brings more passion and flow to other parts of your life. + Recognizing and trusting your intuitive voice. + Managing negative self-talk and negotiating personal break throughs. +How to calm your inner critic and get beyond stuck in your creative process. 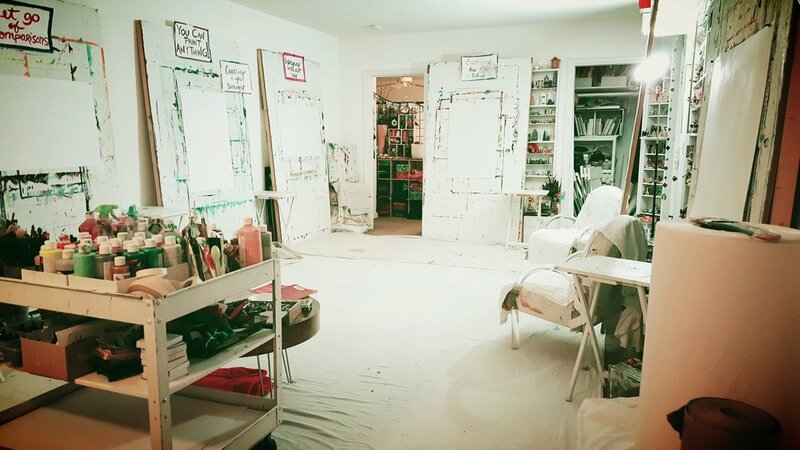 + Access a wellspring of spontaneous creativity. + symbolic decoding of your imagery to find the deeper messages from your Unconscious. +support and encouragement from a community of intuitive creatives. No previous art training is expected or required. Unlike art classes you may have experienced, we will focus solely on the process, not the product. This allows you to sidestep judgment, staying present and playful in each moment. Intuition Painting becomes like dreaming - images and colors bubble up, expand, take shape, and morph - without any preconceived expectations. 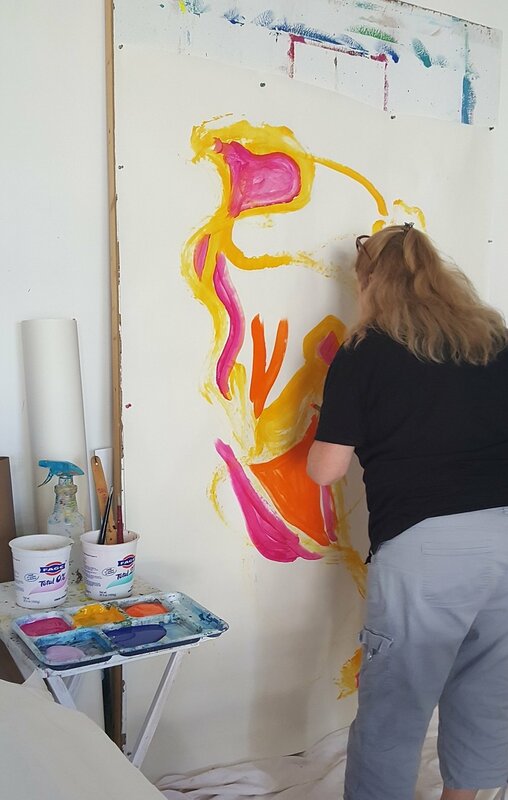 In the upcoming weekend workshop you will be abundantly supported by Master Intuition Painting facilitators Montine Blank of Paint Awake! and Elise Crohn of Juicy Creatives Studio, with 37 years combined experience. *This workshop fulfills prerequisite requirements for the Intuition Painting Facilitator Training beginning spring 2018. An Intuition Painting Master Facilitator and Certified Transformational Coach. Founder of Juicy Creatives Studio and Intuitive Painting Master Facilitator with 20+ years experience.